First off, happy First Thursday of the year!!! For those that don’t know, First Thursday is a fun, free Austin event and former list item that takes place every month. For more information visit: http://365thingsaustin.com/2010/02/04/35-first-thursday-on-south-congress/. I’m really branching out in the new year, trying to find cool stuff north of the river. My friend is on a mission to introduce me to the north side of the city, and she started by taking me here. We had a blast! 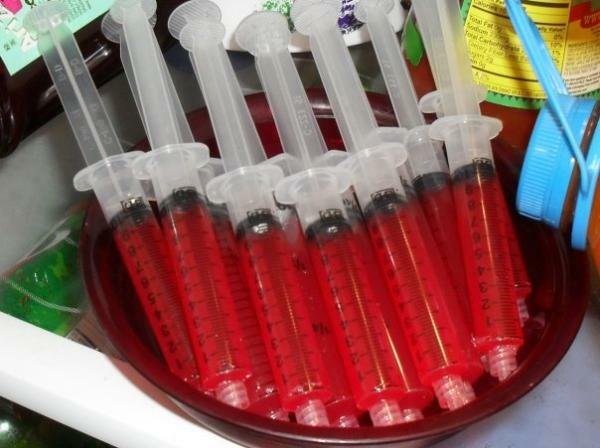 After a night of great friends and great drinks there are two things I remember – karaoke and Jell-O shots in a syringe. I don’t get out and sing karaoke all that often. I also don’t have the best voice in the world, but I guess that’s kind of the point. I had a great time, and I had a ton of Jell-O shots. Trust me when I say that few people can claim to be an expert on Jell-O shots. I happen to be one of those people. The ones at Common Interest were delicious, and the novelty of the syringe just adds to the fun. If you’re in the mood for Jell-O, go with red or blue. Trust me. I know. They also serve free popcorn. If you’re looking for a way to break out of your normal routine, this is a great stop for some cheap fun.